2.High Efficiency,high lumen150lm/w,12w 1800lumen,save energy! 3.Elecctronic ballast compatible,No need to remove ballast,no rewiring, direct replacement, UL,DLC,cUL listed. 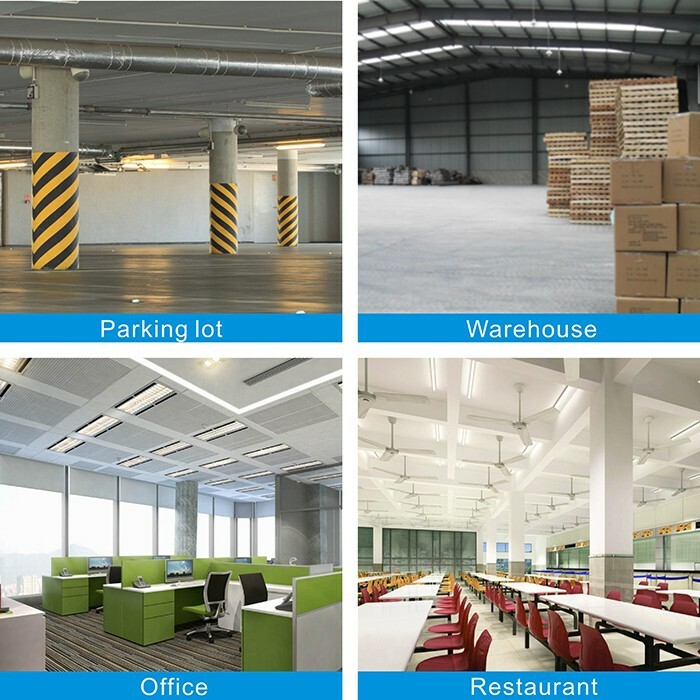 4.Directly replace fluorescent tubes, plug and play. 1.Perfect compatibility with instant start Electronics ballast with no floating power . 2.And ARK glass LED tube can work well with single tube with Magnetic ballast. 3.AC Power 100-277Vdirectly by two ends. 4.Specialized Glasss cover design for optimal light distribution and smooth visual effect. 5.Highly energy efficiency, meet the requirement of DLC. 6 Power factor:same as ballast in use,usually>0.95. 4. Agent designated by client: please tell us the contact detail of your shipping agent and we will arrange to deliver the items. 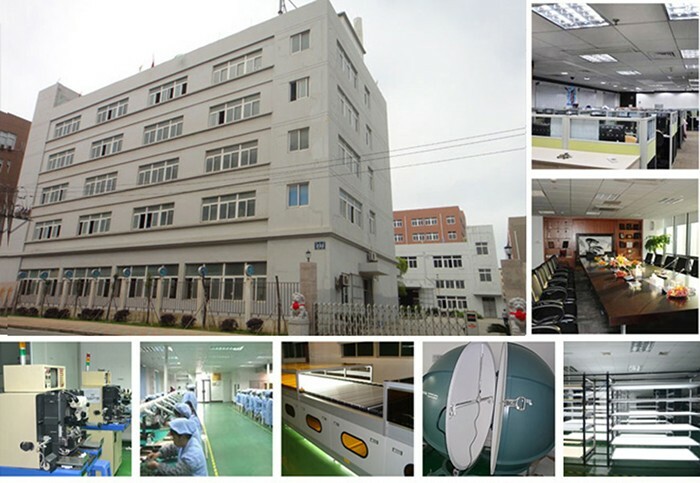 ARK Lighting(shenzhen)co.,LTD to find it! 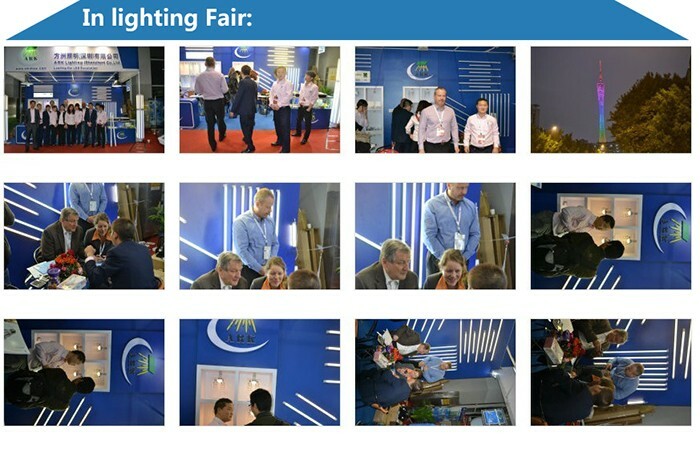 welcome you come to visit us in Lighting Fair! Q:Is the glass led tube safety when shipping? 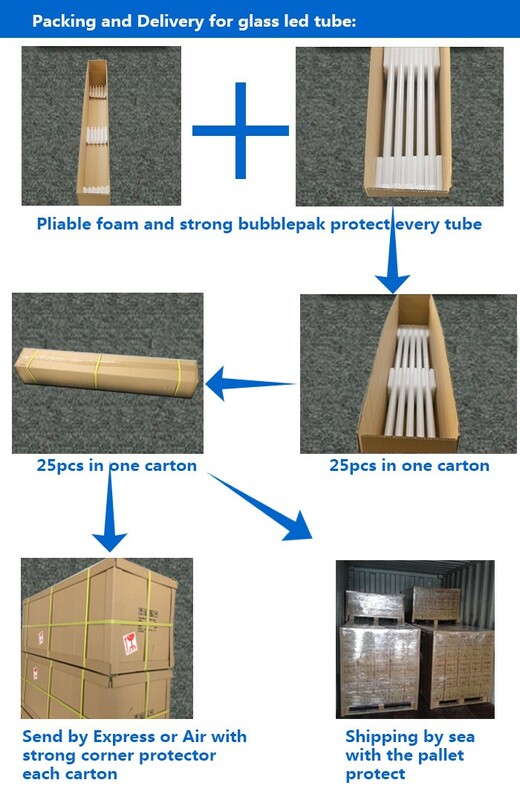 1,we use the strong bubblepak safe packing for evey tube! 2,For 25 CTNs ,we put them in a plank bored to protect it! 3,And also we can ship 3‰ Free tube for your reserve ! Q:How many years warranty do you have for LED tubes ? In case something goes wrong and we need to use warranty, what is procedure for getting new lamps? in materials or workmanship,we will send replacement or rearing the defect and return back to you! we offer 3‰ more glass led tube for your reserve! 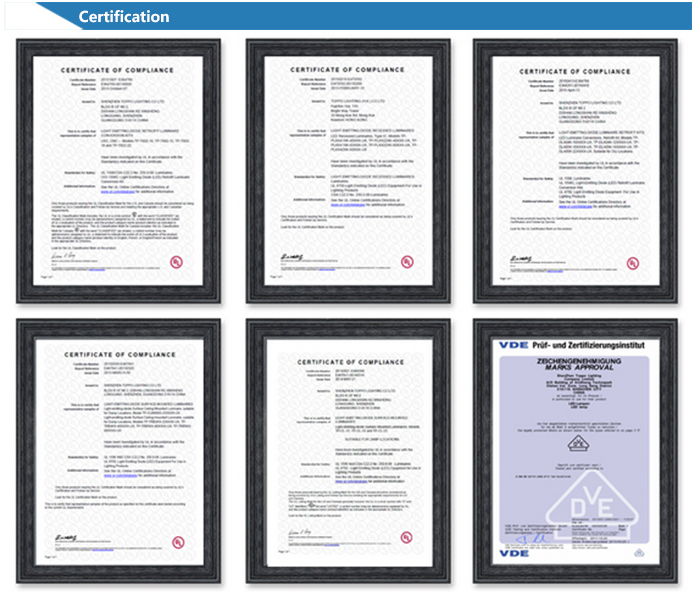 More documents(IES file, integrating sphere test report,UL DLC cert) or samples required,please contact me!